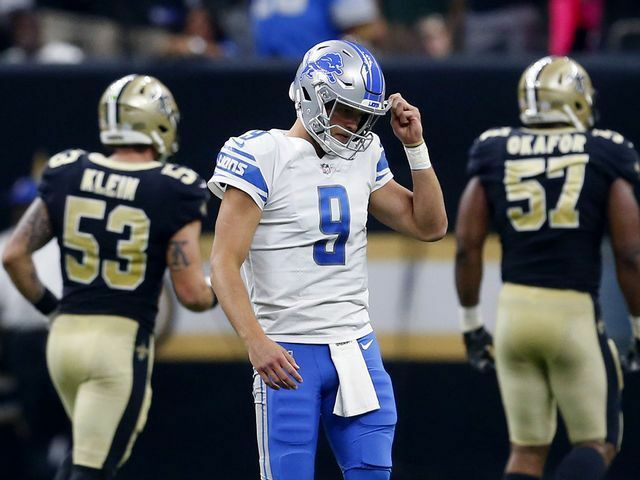 After dropping a wild one to the New Orleans Saints on the 15th of October, the Lions limped into their bye week. Detroit has been bitten by the injury bug lately, making a Week 7 bye oh so necessary. On Monday, the team got back to work in Allen Park, sitting in third place in the NFC North with a record of (3-3). The Lions trail the second place Green Bay Packers by a 1/2 game and the first place Minnesota Vikings by 1 1/2 games. A previously hobbled Matthew Stafford practiced through Wednesday. Glover Quin, who suffered a concussion against the Saints, has practiced through Wednesday and could avoid missing this weekend’s tilt with the Pittsburgh Steelers. T.J. Lang, who sat out the battle against the Saints with a back issue, returned to action for Detroit on Monday. Kenny Golladay, who has been hampered by a hamstring injury for about a month, had limited practice time this week. Golden Tate didn’t practice on Monday as he suffered a shoulder injury against the Saints, one that put him in a sling. He was expected to miss this Sunday’s game against the Steelers and likely more time, via one report, but actually had practice time, although limited, on Wednesday. Where Tate stands for this weekend is unclear. Paul Worrilow has been battling a knee injury and was limited during Wednesday’s practice. Greg Robinson left the game against the Saints with what was called an ankle injury. He hasn’t been in action this week. Defensive tackle Khyri Thornton has been activated by the Lions after spending the first six weeks away from action due to a suspension enforced by the league. 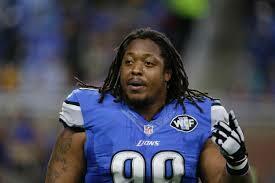 In 13 appearances last season, Thornton recorded 18 tackles and a sack. The Lions are no longer willing to take much off-field garbage from players with Bob Quinn in charge, but are giving Thornton a second chance. “I’m just trying to work hard, look forward to the future and do what I can to help this team,” Thornton said on Monday. Just a couple weeks back, defensive end Armonty Bryant was coming off a four-game suspension, but was let go by the team as he was coming off his third issue in a year. Brad Kaaya, who was signed by the Lions late last week, was waived to make room for Thornton. The Lions were hoping that Kaaya went unclaimed this time around so they could add him to their practice squad. Bingo. Kaaya is a Lion for a third time, his second return in the span of five days. Sam Martin, who has missed the first six-games, recently returned to practice and has been activated by the team. With that move, the team has released Jeff Locke, who was as smooth as butter during his five-games with the Lions. Detroit is starting to get healthier, but isn’t quite there, yet. The bye week certainly came at the right time, allowing for some players to knock out nagging injuries and for the team as a whole to just reset.